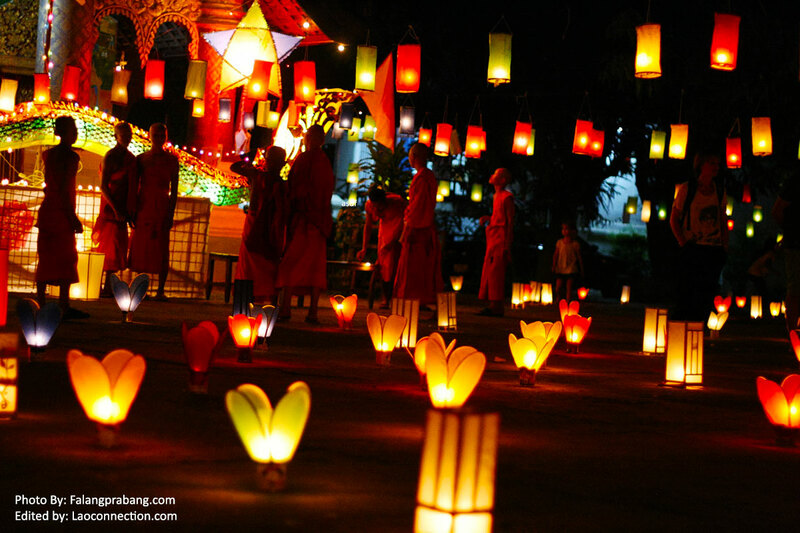 Celebrating the end of Buddhist Lent in October in Laos, the monks will have a feast and villagers will celebrate. Additionally, there are many activities including loy katong (lighting a candle on a banana leaf boat and releasing it on the river) and lighting of the heua fai (candle boat) at the temple. In addition, some temples like this one pictured in Luangprabang will light up lots of colorful lanterns to help set the stage for visitors.